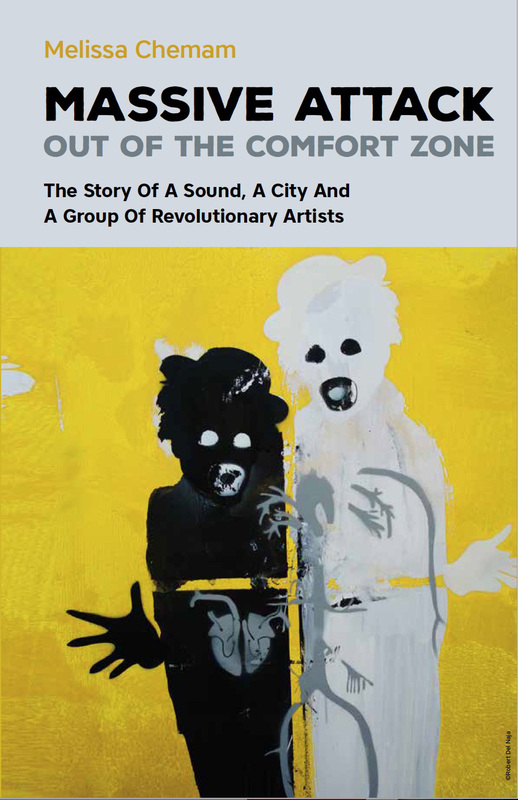 Melissa Chemam’s book Massive Attack: Out of the Comfort Zone is an in-depth analysis of Massive Attack, tracing the group’s story from the inner-city cultural melting pot that Bristol was in the 1970s and 1980s. This underground scene was influenced by a musical mix of punk, reggae, soul, funk and later hip-hop. This led to the formation of various crews including the Wild Bunch who formed the nucleus of Massive Attack. The book charts their rise out of communities of working- and middle-class kids from British families alongside Jamaican, Irish, Italian and Asian immigrants. Chemam retells this musical hybridity expertly through interviews with key Bristol musicians and scene stalwarts such as Mark Stewart of the Pop Group and the Maffia, Jabulani Ngozi of Black Roots, graffiti artist Inkie, Ray Mighty of Smith and Mighty, Tricky, close collaborators of Massive such as Neil Davidge and others, Martina Topley-Bird and members of Portishead, Lupine Howl and Alpha. Central to this book is the unfolding story of Massive Attack, their art, politics, reflections on their own identity, and the development of their astounding music, loved all over the world. The work of the group’s creative driver Robert Del Naja is a key component of Chemam’s analysis, written through many discussions conducted by the author in Bristol and further, as well as through research into documentary sources. She details the making of their groundbreaking album Blue Lines, as well as the impact of their followings records, including Mezzanine. Key to the story are also the band’s unique collaborations, with Horace Andy, Shara Nelson, Tracey Thorn, Madonna, Elizabeth Fraser, Sinéad O’Connor, Mos Def, Damon Albarn, Young Fathers, Adam Curtis, Banksy and many more.